This bibliography describes the many books and online resources used in the development of this website. 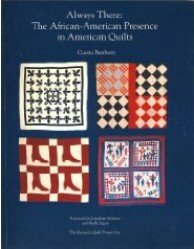 Since these books are excellent resources for anyone interested in the history of quilting in America, I have included brief descriptions as well as bibliographic citations. While the Quilting-in-America website is not designed to be a scholarly resource, many of the resources used in its development are. These sources, particularly The International Quilt Study Center & Museum are truly scholarly resources and provide a wealth of information about the quilting heritage of the United States. 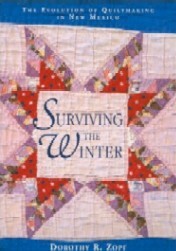 In addition to the print resources listed in this bibliography, there are links to several podcasts available at The International Quilt Study Center & Museum. 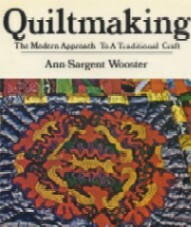 These are excellent resources that may prove invaluable to your understanding of the history of quilting. The quilter's bible with thousands of designs to choose from. 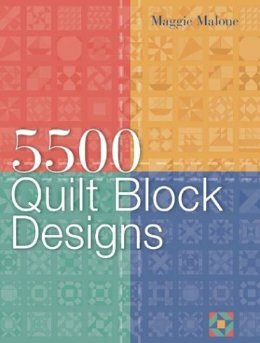 With 5,500 quilt block patterns to copy, adapt, and combine in countless ways, you'll never run out of ideas for your projects. Some of the designs are classic and are copied from museum collections. Others were passed along from friend to friend or kept in the family for many years before publication. There's even historical source information on many of the patterns. 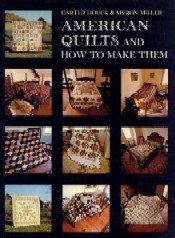 This is the one book no quilter can do without. Extensively researched, filled with pictures of quilters and their quilts, from early in American history to more recent times, this book shows a diverse body of work by African American quilters. It demonstrates the presence of African American quilts throughout American history as well as the link between the quilts and the culture and family histories of those who made and owned the quilts. Filled with pictures of historical quilts as well as patterns and instructions for making them, this book is a wonderful introduction to the beauty and history of the important folk art of American quilting. This well-researched book draws together information about the Amish, their history, culture, and textile traditions. Amish quilts are not vehicles for self-expression or individual achievement, rather, they serve a utilitarian purpose while remaining within a seemingly narrow set of aesthetic boundaries. The quilts, and their stories, enrich our vision of the Amish community as well as illuminate the larger world of American quilt-making. Quilts are among the few tangible objects that reflect the role women played in the building of America. The stories of quilts and the women who made them are interwoven, creating a patchwork of the struggle, creativity, and strength of the American settler. In addition to linking the evolution of quilting with significant events in American history, America's Heritage Quilts is also a comprehensive guide to traditional quiltmaking skills with 70 quilt projects for quiltmakers of all skill levels. 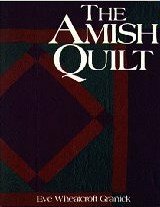 Filled with over 100 color photographs, this book reveals the beauty of the quilts of the Amish people as well as introduces their traditions and history. 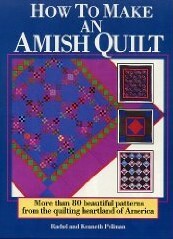 This peek into the world of the Amish offers insight and inspiration to quilters of all levels. American quilts represent not only a popular folk craft but also a fascinating abstract design tradition that developed in the United States.The Pieced Quilt is a rich, colorful survey of the inventive genius of American women. With dozens of color pictures, this book is a superb text explaining the development of a uniquely American tradition. Join noted collector and historian, Jonathan Holstein, as he discusses the "Quilts in Common" exhibition. Enjoy this fascinating International Quilt Study Center & Museum podcast. The book explores how to make and design traditional and modern quilts using classic and current methods. 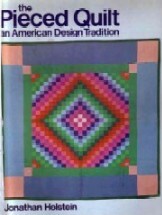 Includes history, techniques, types of quilts, and construction tips. 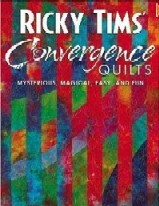 Popular quilting expert Ricky Tims presents an imaginative new piecing technique that features two or more fabrics cut into strips, sewn together, then cut and pieced again. Convergence quilts may look complex but are fun and easy to make. Four projects walk you through the process, and Ricky demonstrates how to add appliqué, beadwork, and other decorative touches to achieve an infinite number of looks from one ingenious technique. 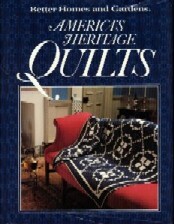 This wonderful book offers a marvelous view of American quilting and its history in the early 1900s. Reading this book was reminiscent of hearing my great-grandmother, Big Mama, share stories of quilting when she was young. Occasionally, the text is a bit confusing, such as, "during the World War," but then realizing the book was published 5 years before the beginning of World War 2, it's obvious which war the author is referring to. "An Aesthetic Life: the Story of Quiltmaker Rose Kretsinger"
Stitched from the Soul: Slave Quilts from the Antebellum South, 2nd ed. Gladys-Marie Fry has provided new insights into the lives and creativity of slave women in America during the 18th and 19th centuries. 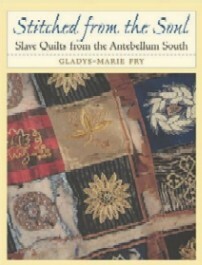 While Stitched from the Soul is an interesting study showing how African culture influenced American quilting, it is also a commentary on the life of the slave. Included are many illustrations of surviving slave-made quilts, some utilitarian and others wonderful examples of the seamstress's art. Dorothy Zopf presents the quilts, their histories, and the stories she collected at senior and community centers around New Mexico. She surveys the unique blending of Hispano and Anglo-American fiber arts. Northern New Mexico was a wool and weaving culture, where women adapted and assimilated the piecing and quilting techniques brought by Anglo-American immigrants during territorial days. Working in isolation or in small families and communities, they made utilitarian quilts that were also works of folk art. The quilts documented here range from the “old style” quilts, characterized by vertical strips of random lengths and widths, to formal patterns such as Log Cabin and Wedding Ring, to experimental wall hangings. Using materials ranging from old serapes to used clothing, flour sacks, tobacco bags, and commercial fabrics, the women of New Mexico have used their frugality, ingenuity, and creativity to create an enduring legacy. Additional bibliographic information and descriptions of excellent books can be found on the Quilt Books page.